British scalp cooling expert Paxman will be showcasing the latest model of the Paxman Scalp Cooling System (PSCS) at Arab Health 2019. The British-developed pioneering treatment prevents Middle Eastern cancer patients from losing their hair and retain a feeling of normality during chemotherapy. The improved simplicity of the new generation of Paxman Scalp Cooling employs an interactive user interface and touchscreen ensuring ease of use for clinical staff. Maintaining coolant levels is also simplified by a visual warning system and an easy-to-use self-drain coolant refill bag. The new control pump manages the speed and coolant flow, improving the consistency of treatment. Manufacturing technique changes have also been introduced – the front cover of the scalp cooling machine is now injection moulded rather than RIM moulded - to improve the overall aesthetics of the system. Following the successful launch in the US, this updated model is being rolled out across the Middle East, UK and rest of world markets. This is the first time it will be showcased at Arab Health and the company is keen to find new partners from across the Middle East and North Africa (MENA) region. 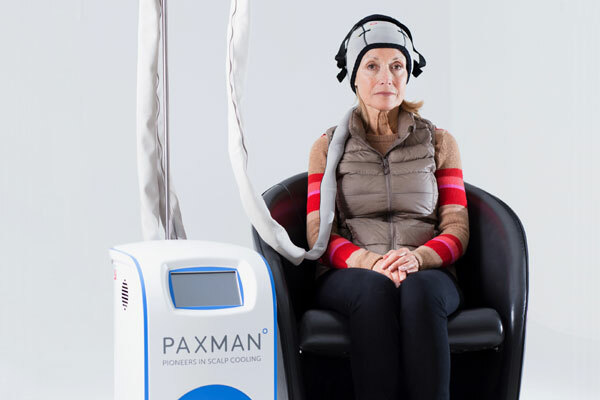 The Paxman Cooling System (also known as the 'cold cap') alleviates the damage caused to the hair follicle by chemotherapy. It works by reducing the temperature of the scalp by a few degrees immediately before, during and after the administration of chemotherapy. Made from lightweight silicone, the scalp cooling cap is soft and flexible - providing a snug, yet comfortable fit during treatment, moulding to all head shapes and sizes. Liquid coolant passes through the cap, extracting heat from the young person’s scalp, ensuring it remains at an even, constant temperature to minimise hair loss. Chemotherapy works by targeting all rapidly dividing cells in the body. Hair is the second fastest dividing cell, and this is the reason why many chemotherapy drugs cause alopecia. The hair follicles in the growth phase are attacked, resulting in hair loss approximately two weeks after the commencement of chemotherapy treatment.